Along with Huawei Ascend Y300 another phone by Huawei with somewhat better hardware specification was also announced as Huawei Ascend 510. This phone lies under the range of 11,000 INR and so we have very other good phones in this range as most of the other firms like Umi, Micromax, Zopo, Gionee and Lava are targeting this price margin with their phone already available in the market with decent hardware spec. Ascend 510 is also available for the pre-order on Flipkart at the price of 10,990 INR and its release date is expected to be in the first week of April. This phone doesn’t get on the expectation of the users who are looking for the Quad-Core processors in a phone under this price range because the phones like Wammy Titan 2 and Umi X-1 increase the expectations of the user. The phone has a big screen size of 4.5 inches with multi-touch feature and supports the resolution of the display of 480 x 854 pixels (which is certainly not HD). 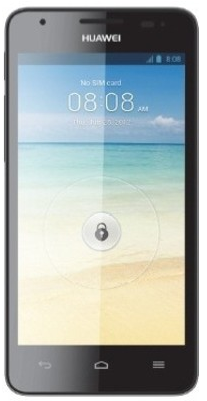 The specifications of primary and secondary cameras of the phone are also similar to that of Ascend Y300. As Huawei has a better repo in the smart-phone market as compared to Micromax, Zopo, Gionee, Lava and others, so like Samsung , HTC and other big contenders you may not expect the high configuration Android Smartphone at this price range as they prefer to provide quality on whatever they putting up for their customers rather than focusing on the numbers of their hardware spec. One of the good factors is the usage of Qualcomm Snapdragon processor because this is something better than MediaTek processor and Qualcomm Snapdragon has never been used by the any other smartphone in this price range, so this is something good in both the low-cost smartphones released by Huawei. All the other detailed information about the hardware specifications will be available in the Quick Review post of this gadget. The phone is covered under the warranty of 1 year but the other accessories in the box are covered only for 6 months.